Edgar Hilsenrath (born 1926) is a German-Jewish writer living in Berlin. His main works are Night, The Nazi and the Barber, and The Story of the Last Thought. 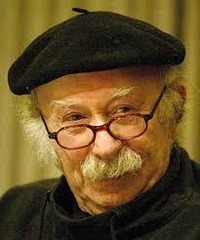 According to Dagmar C. G. Lorenz, Simon Wiesenthal Center, "Hilsenrath calls things by their proper names and portrays life first and Edgar Hilsenrath (born 1926) is a German-Jewish writer living in Berlin. His main works are Night, The Nazi and the Barber, and The Story of the Last Thought. Die Abenteuer des Ruben Jablonski. Ein autobiographischer Roman.